Wreaths Across America at the Jacksonville Veterans Cemetery, 2008. Photo courtesy, Larry Carmer. 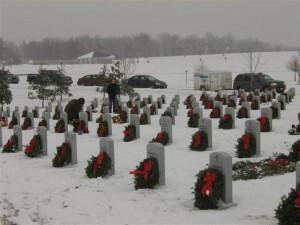 Wreaths Across America began as something of a happy accident involving the Worchester Wreath Company in Maine in 1992. The company found itself with a surplus of wreaths near the end of the holiday season, and placed them on graves at Arlington Cemetery. Since then, the program has grown to a nationwide effort to put wreaths on as many veterans’ graves as possible, to make sure their sacrifice is remembered over the holidays. Each year the program involves a nationwide, simultaneous ceremony followed by the placing of the wreaths. 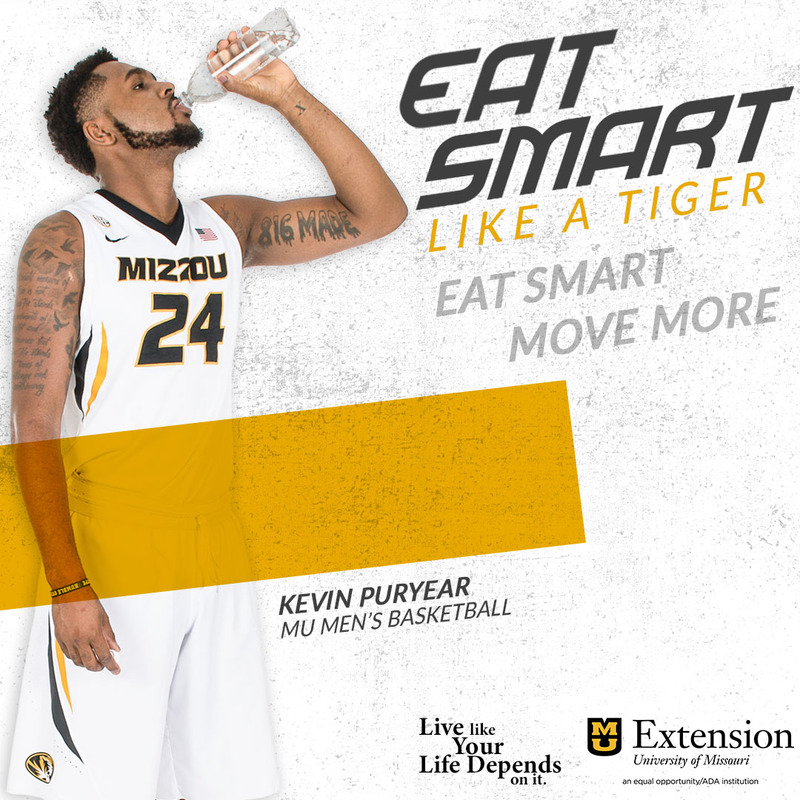 This year, that event is December 10 at 11:00 a.m., Missouri time. 17 cemeteries in the state are participating. Organizers in Missouri say as it stands, however, several of those sites will not have enough wreaths to place one on the grave of each of their veterans. Art Compton is the organizer at the St. James Veterans Cemetery. He says it takes 761 wreaths to accommodate all the graves he looks after. As of Tuesday morning he has commitments for 581. Other cemeteries in the state also need more wreaths to meet their goals. Seven wreaths are presented at the Jacksonville Veterans Cemetery in 2010. Each participating cemetery receives at least seven wreaths; one for each branch of the military. Photo courtesy, Larry Carmer. Donations and commitments for this year can still be made through Friday. To find out how to donate, visit the Wreaths Across America website. You can also use the site to find participating cemeteries with contacts and other information for each of them. A nationwide State House Ceremony precedes the wreath-laying event. 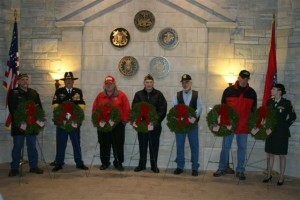 On December 5 at 11:00 a.m. Central, a wreath will be presented at Missouri’s State Capital in Jefferson City.